Join Project Purple on September 14th as we run and walk to BEAT Pancreatic Cancer through beautiful Overpeck County Park in Leonia NJ. 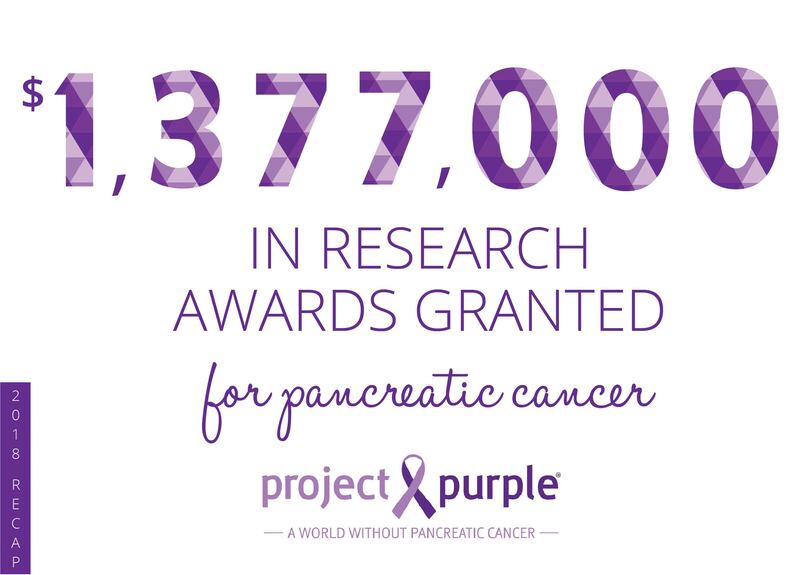 You can choose from either the 5k run or 1 mile walk to benefit Project Purple. Your participation and fundraising supports our national patient financial aid program and funding critical research towards a cure. 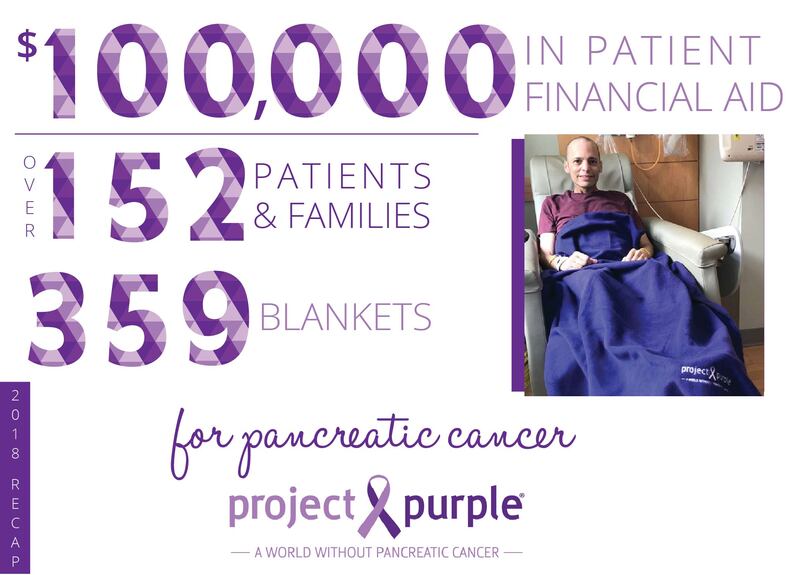 We have become the nations leading provider of patient aid to so many families fighting pancreatic cancer. Teams are welcome and fundraising is encouraged. Kids' Race: Have the little ones join in the fun too! We will have a 1/4 mile race for kids ages 2-6, and a 1/2 mile race for kids 7-10, with a staggered start. VIRTUAL 5K OPTION! Can’t make race day? Not to worry. 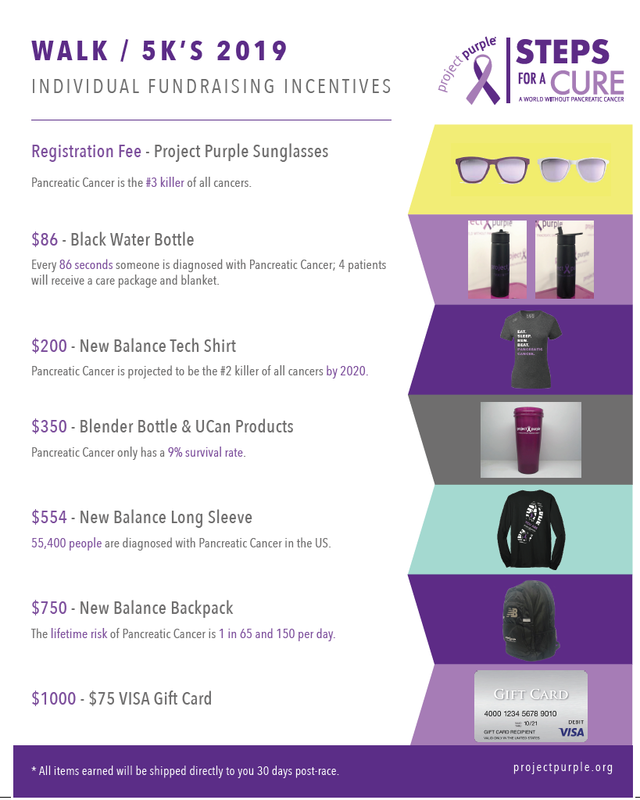 Sign up for the virtual run, log your own miles and we’ll send you Project Purple sunglasses (if registered by Sept. 10, 2019) and a race bib. Email jody@jbsports.com with questions on the virtual run. AWARDS: Prizes are awarded to the top overall male & female runners and top 3 in each of the following age groups: Men & Women 12 & under, 13-19, 20-29, 30-39, 40-49, 50-59, 60-69, 70-79, 80+. Top individual and team fundraisers receive awards! We will have a 1/4 mile race for kids ages 2-6, and a 1/2 mile race for kids 7-10, with a staggered start.